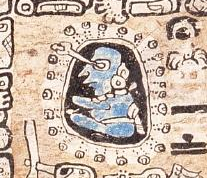 The sophisticated astronomy of the Mayan culture. Find out the dual way the Mayans kept track of the calendar. Learn some Mayan myths. And enjoy a fulldome animation produced under the auspices of the National Council of Science and Technology of Mexico. Tickets at the door are $5 (cash or check, no credit). Children 6 and under free. The WSU Planetarium is located in 231 Sloan Hall.